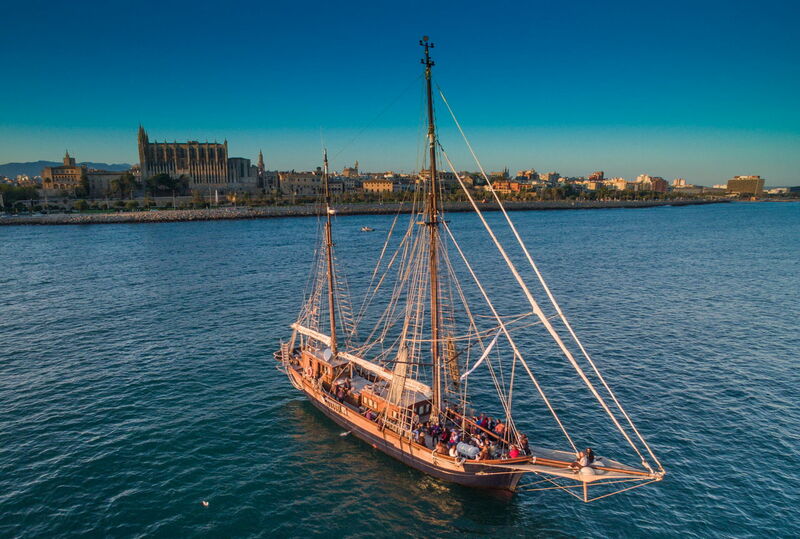 This boat is a beautiful wooden two-master, the oldest ship of the Spanish fleet, available from Palma. The owners are fantastic people with a great passion for their profession. 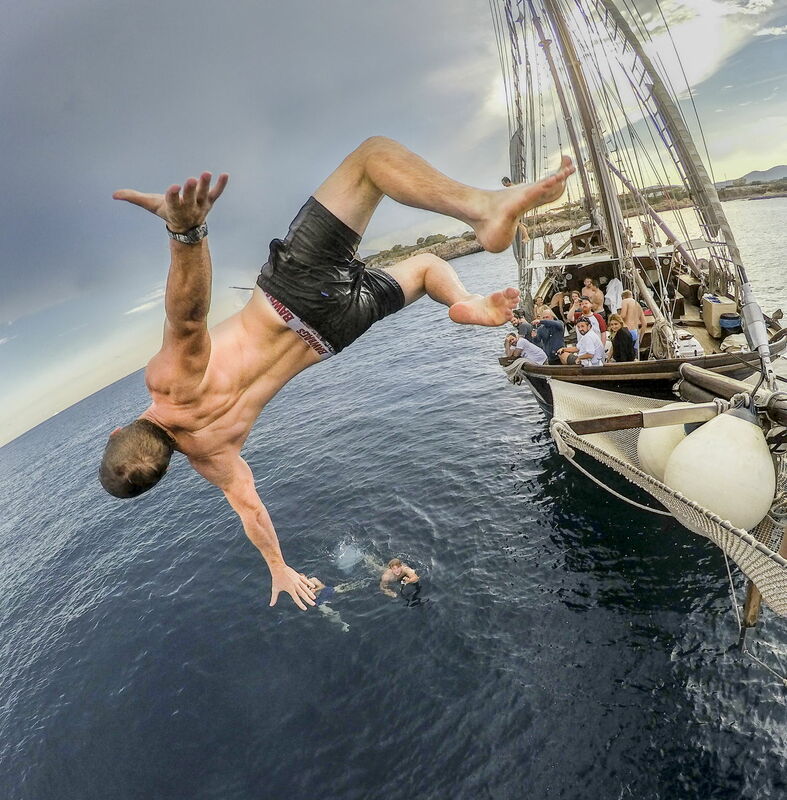 They take care of catering on site, and can also offer special events on their ship (live music, acrobatic show etc.). 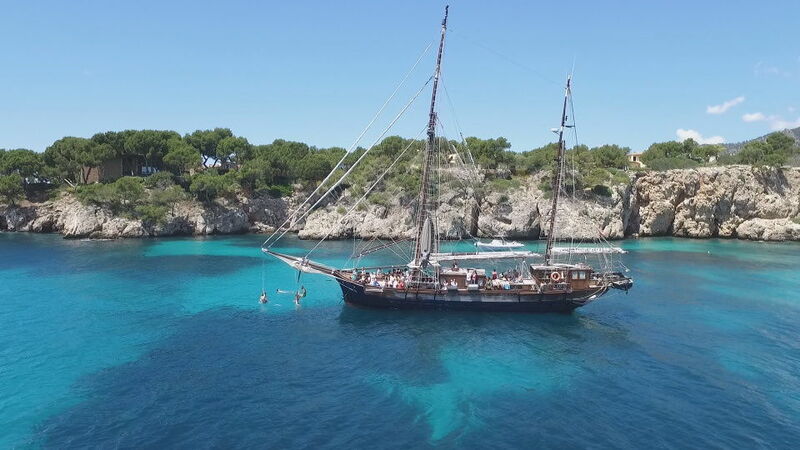 If you have a special event, something to celebrate or looking for a good incentive trip for your company and like to enjoy a special experience, we can highly recommend this ship. 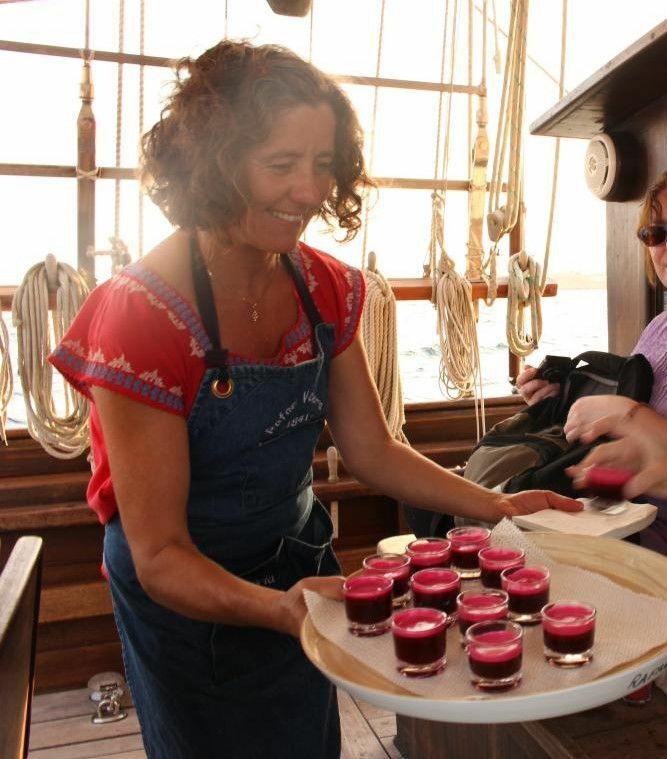 The boat is able to take a maximum of 60 guests. 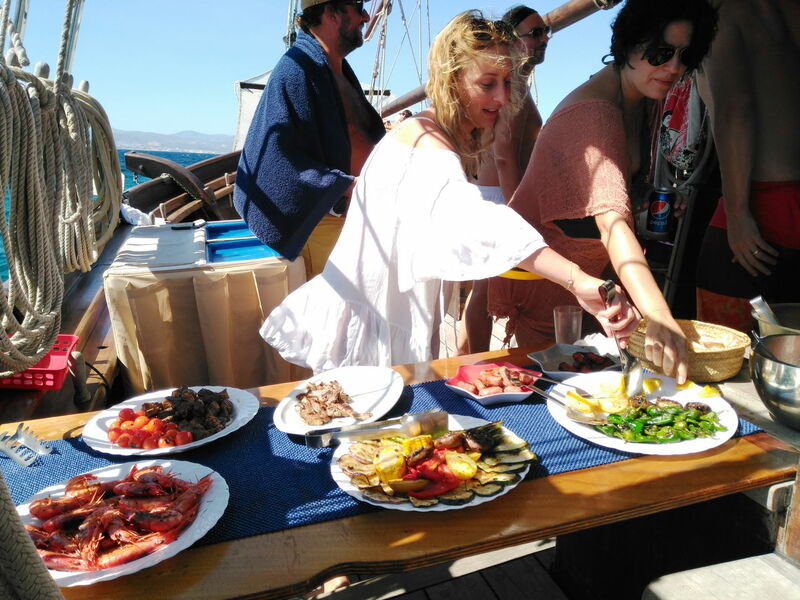 As they sail from the Port of Palma to a beautiful, crystal clearwater anchorage you can sample some delicious tapas using the flavours of Mallorca. At anchor you can swim, go canoeing or snorkeling. 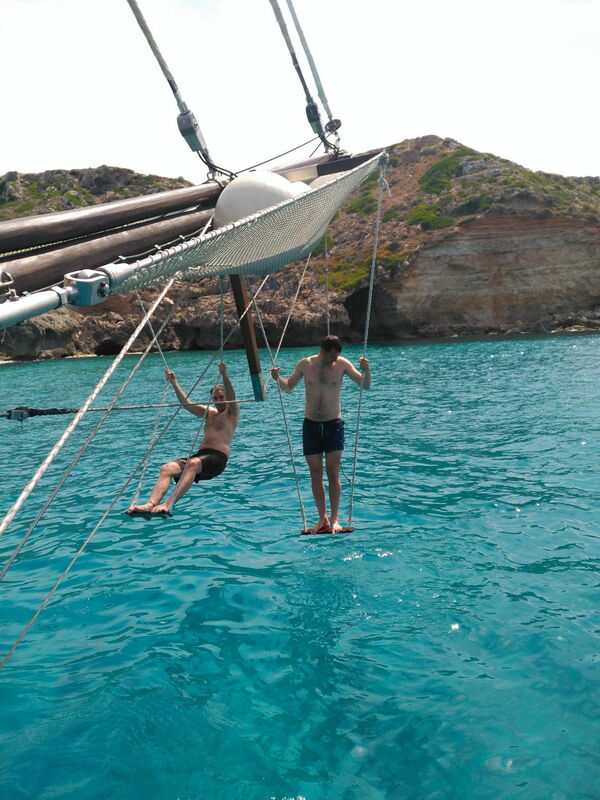 You can also use their exciting swings under the bow, or simply jump from the deck into the inviting water. 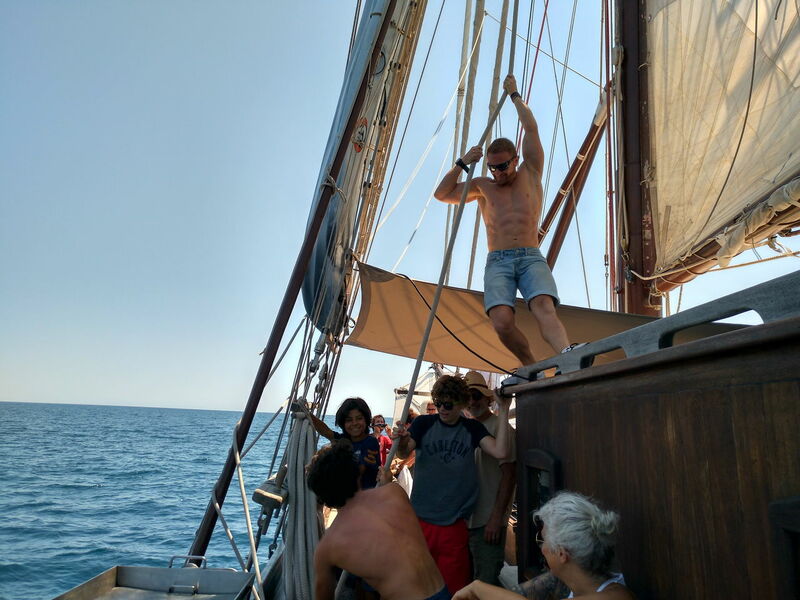 On the return trip and you will be able to participate in hoisting and trimming the sails. 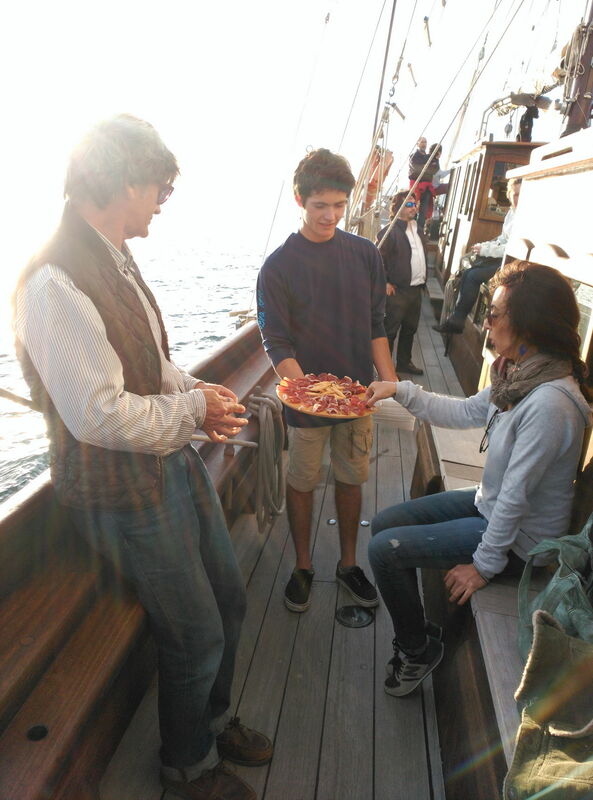 Your crew will serve you a mouth-watering Mediterranean meal on the way back to Palma. 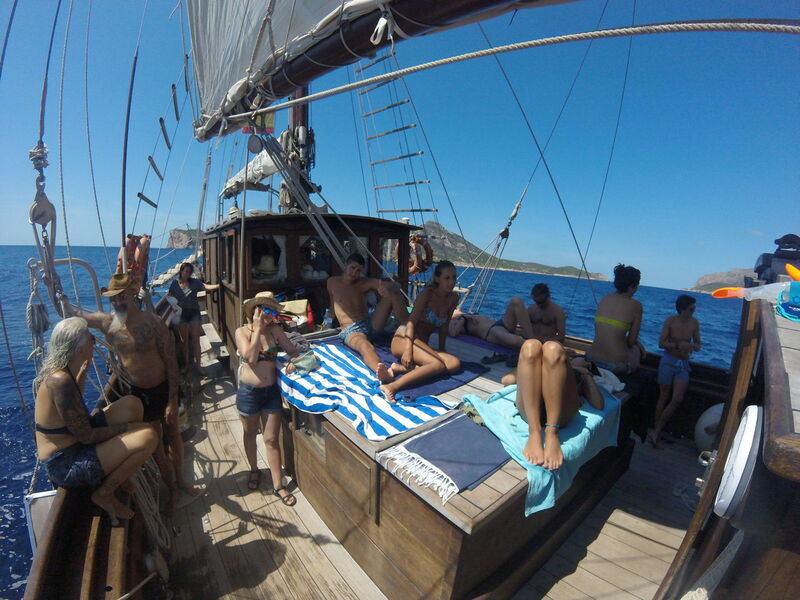 You can sail for a half day or full day. The price for a half a day trip starts from € 1655,- excluding 10% VAT for a group of 12 guests. The price for a full day trip starts from €2130,- excluding 10% VAT for a group of 12 guests. Prices include canoes and snorkling gear. There is a whole range of catering options available, not included in the price. 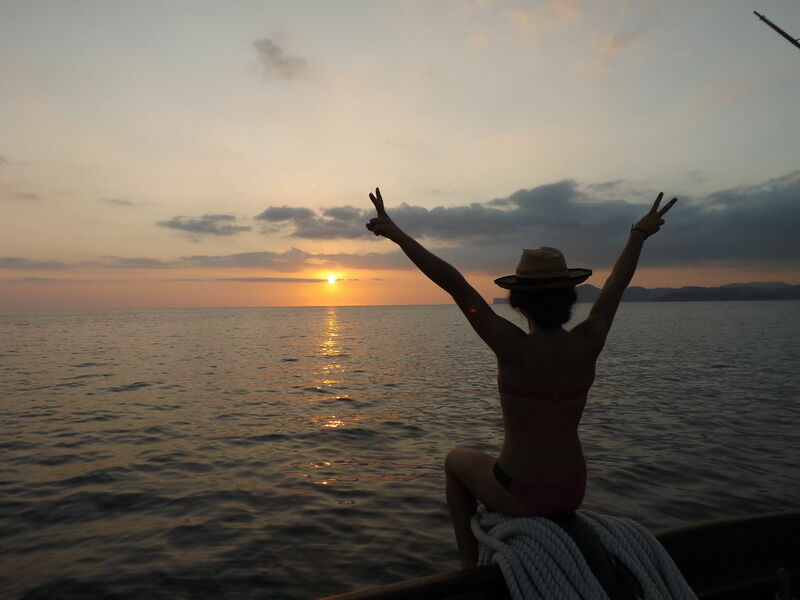 Included:Appetizers, Food and Beverage, Bathing towel, Canoes and Snorkel Equipment. Not included: Bar service with cocktails and extras. 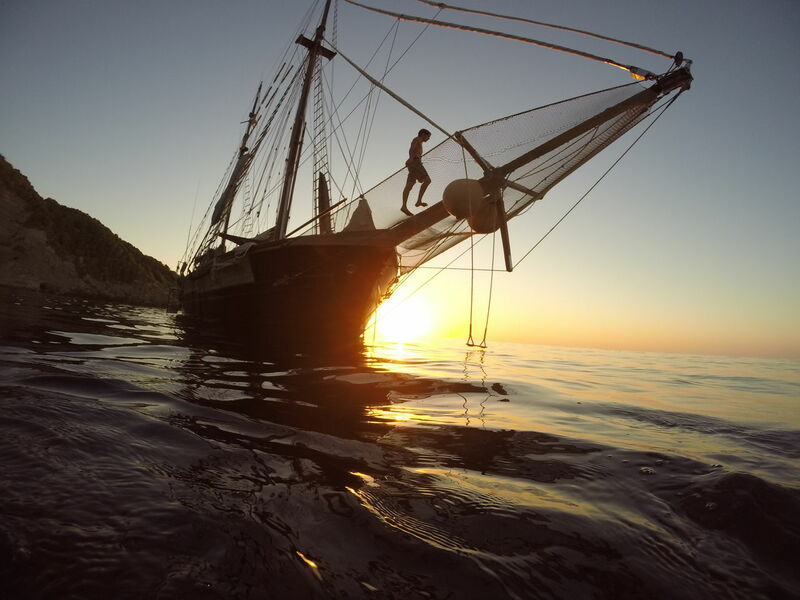 We invite you to participate in a very romantic and relaxing sailing experience onboard the oldest sailing yacht still active of the Spanish fleet. The spectacular view with the amazing changes of colours during sunset with a view onto the Cathedral with the picturesque old town invites to share this magic moment and to enjoy a toast. Tickets: 140€ p.p. Adults only! Included: Cava at sunset, selection of Mediterranean Tapas, Dessert and drinks. No refund if cancellation less then 3 days before excursion date.